Choose from Certified Humane and Organic varieties, available in 3 popular flavors. Pile it high on your favorite bread or enjoy as an on-the-go snack. 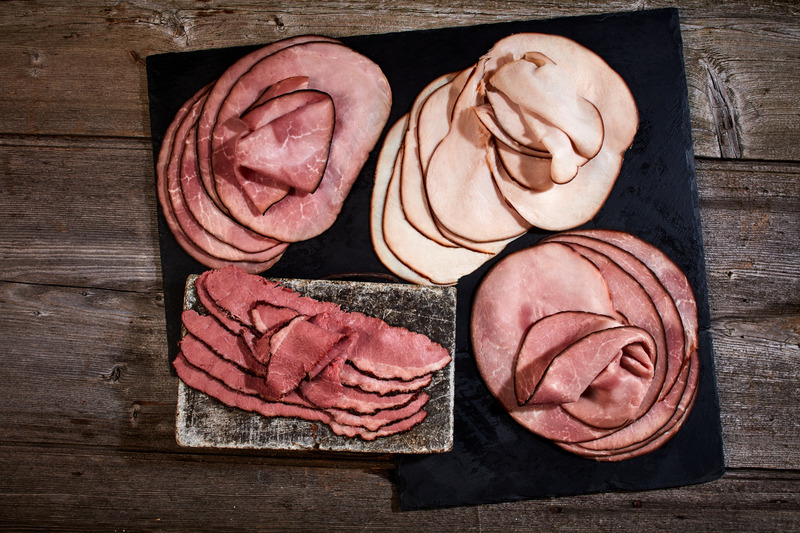 Our line of premium deli meats are all quality, without compromise. This turkey is marinated in an old-fashioned brown sugar brine to enhance the meat's natural sweetness, before being cooked low and slow in small batches. Exceptionally lean and brined in a secret blend of spices and maple syrup. This ham is double smoked in our German smokehouse for, delivering a rich flavor that complements the natural sweetness of the ham. Marinated in maple syrup, and exceptionally flavorful, our ham is reminiscent of the old-style charcuterie that can only come from slow, deliberate smoking. The package is reseable for convenience. Cooking not Required Keep Refrigerated at 40 F or Below.